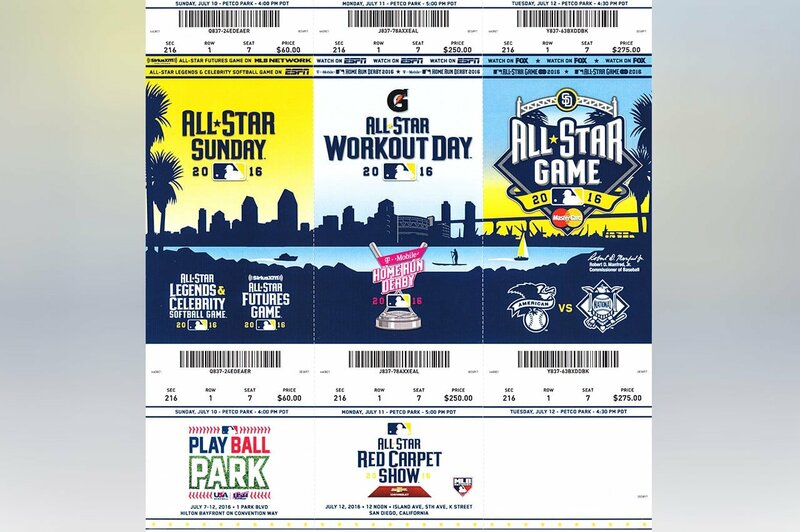 Ticket stubs from 2016 'Futures Game', 'Home Run Derby' and 'All-Star Game'. Alex Reyes (St. Louis Cardinals prospect) faces Ryon Healy (Oakland A's prospect) in the first inning. Oakland Athletics prospect Ryon Healy bats in the bottom of the 8th inning. David Wells pitches to a shirtless Terry Crews. After attending three days of the All-Star Game festivities, I can’t believe I haven’t tried to attend this sooner. 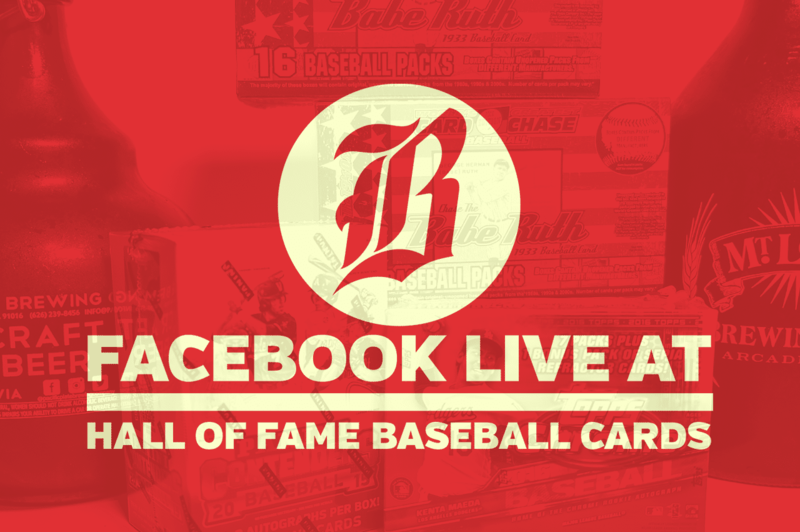 Just an incredible event to see live, and a must if you are a baseball fan. I had opportunities to attend the game in 2010 in Anaheim and 2011 in Arizona but was unable to attend. I really wish I did, because the television experience really pales in comparison. First up was the MLB ‘Futures’ game. I was actually more excited to see this game than the ‘Home Run Derby’, as Major League Baseball, Minor League Baseball, and the MLB Network has done a great job of covering these prospects. And these were all players that will be in the majors sooner than later. 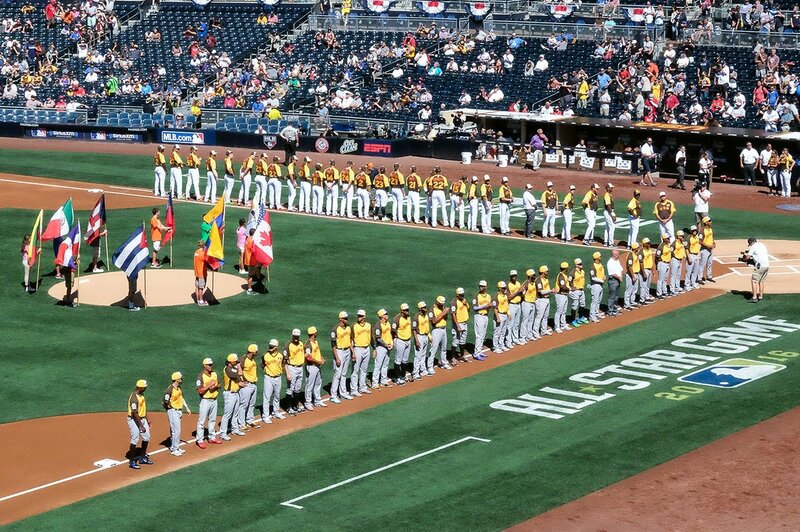 Last year, in Cincinnati, the ‘Futures’ game featured current MLB players Michael Conforto (New York Mets), Trea Turner (Washington Nationals), Ketel Marte (Seattle Mariners) and game MVP Kyle Schwarber (Chicago Cubs). 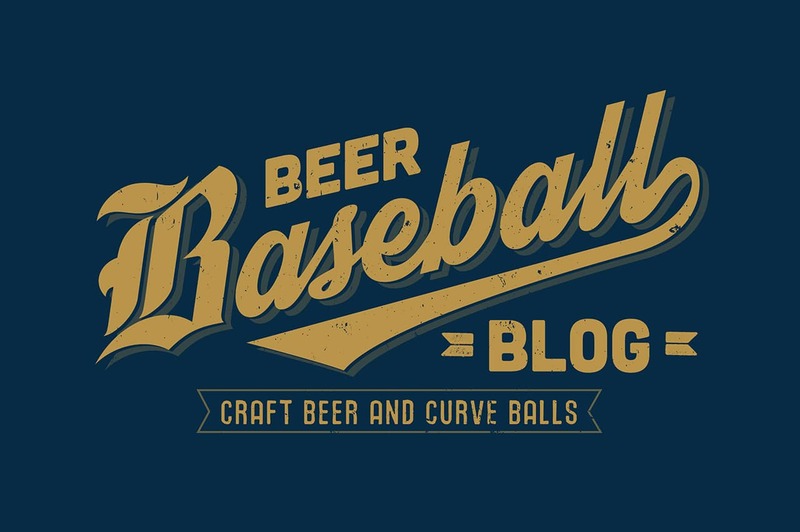 This year was loaded with talent with the buzz being on Yoan Moncada (2B, Boston Red Sox), Alex Reyes (P, St. Louis Cardinals), Alex Bregman (SS, 3B, Houston) and Dansby Swanson (SS, Atlanta Braves). The game itself was great with the World beating the USA 11-3. The game was tight until the 8th inning when the World team took the lead and then piled on 7 runs in the 9th inning. Standout players included Eloy Jimenez (OF, Chicago Cubs) who went 2-3 with a monster HR and made a great foul ball catch in the stands. Alex Bregman, who went 3-5 with a triple off Reyes. Alex Reyes who hit 100 mph twice and 101 mph once. Chance Sisco (C, Baltimore Orioles) who hit a 401-foot home run to left-center field. And Manuel Margot (OF, San Diego Padres) who made a HR saving catch in center field. Most Valuable Player honors went to Yoan Moncada who went 2-5 and crushed a 406-foot homer into the upper deck in left field for a 4-3 lead in the top of the 8th inning. Just an honor to see all this talent play, and despite the score, it was a really fun game. 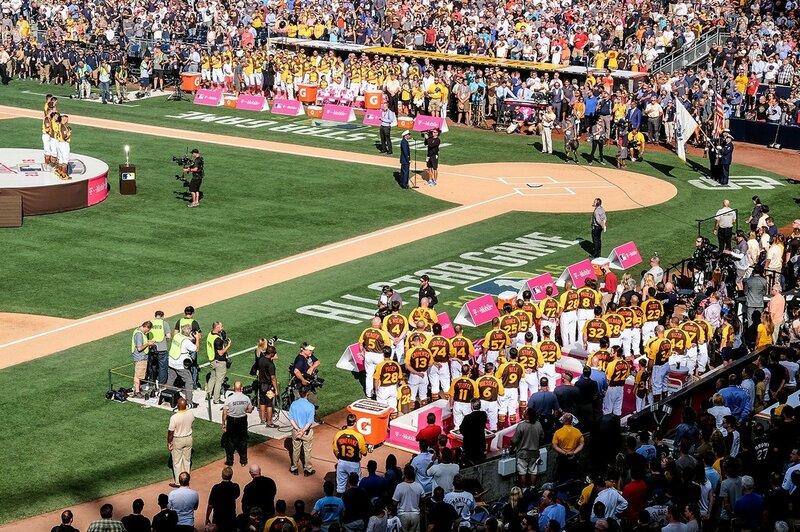 The next game was the ‘Legends & Celebrity’ Softball Game. Now, I am usually not a fan of these types of games as I have seen plenty of ‘Rock N’ Jock’ games and I can basically take them or leave them at this point. But, I was really entertained by this game. Again, the live aspect definitely enhanced it. I think if I watched this on television I wouldn’t have enjoyed it as much. The MLB ‘Legends’ included Rickey Henderson, David Wells, Ozzie Smith, Andre Dawson, Fred Lynn, Rollie Fingers, Tim Raines and Trevor Hoffman. ‘Celebrities’ included Terry Crews, Jamie Foxx, Andy Cohen, Pete Wentz, J.K. Simmons, Landon Donovan, Jennie Finch, Omar Miller, Morris Chestnut, Mark Consuelos and Drew Brees. The ‘American’ team beat the ‘National’ team 8-7. Fun stuff. 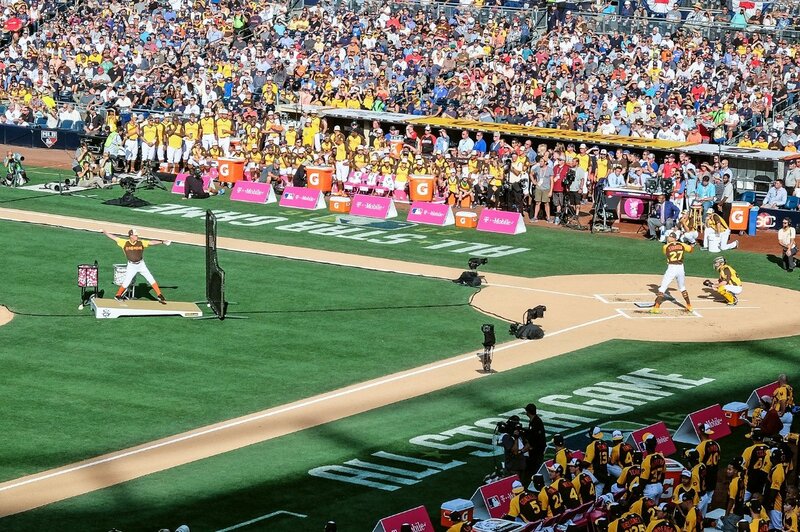 Giancarlo Stanton, of the Miami Marlins, batting in the first round of the HR Derby. 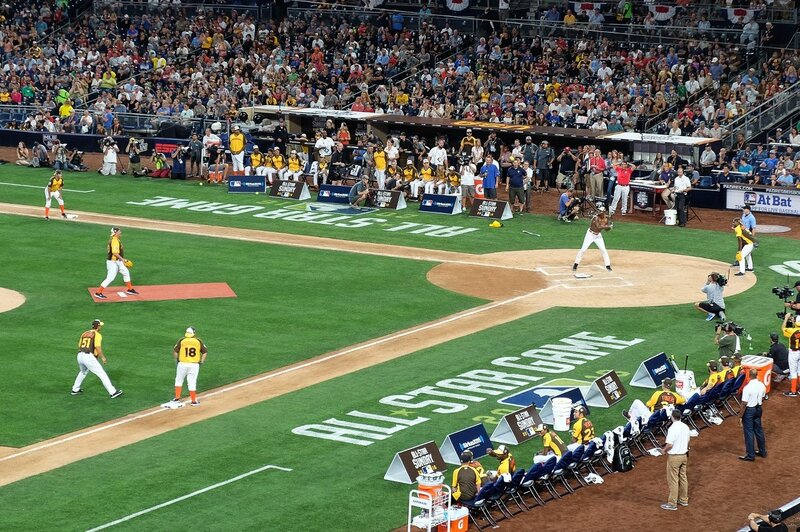 In the past, I did not have as much fascination with the Home Run Derby as others had. In fact, Chris Berman’s call of the Derby made me turn down the sound. But I changed my tune dramatically this year, and it was all because I was there live. My seats were perfect to watch the majestic flight of baseballs into the left-field stands. Almost like having a 50-yard line seat at a football game. But, in fact, on this day it would be like having a seat at the 250-foot line, as some home runs traveled almost 500 feet. The participants this year were: Mark Trumbo, Corey Seager, Robinson Cano, Giancarlo Stanton, Adam Duvall, Wil Myers, Todd Frazier and Carlos Gonzalez. First up in Round One was the left-handed rookie Corey Seager. Seager, who was unfortunately booed throughout this weekend simply because of his association with the Padres’ rival, the Los Angeles Dodgers, hit a respectable 15 home runs in his first Derby appearance. Next up was the right-handed Mark Trumbo of the Baltimore Orioles. Mark Trumbo, who last appeared in the 2012 Derby came out swinging and made and set the tone as he powered his way to 16 home runs with the longest being 479 feet. 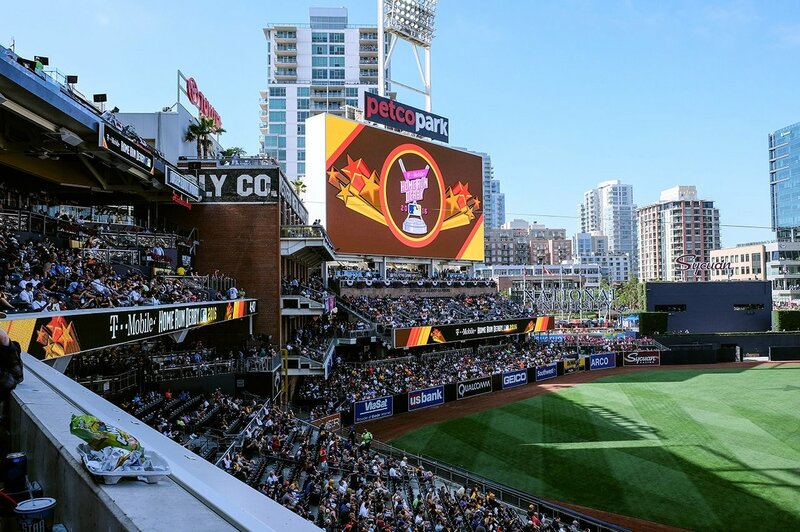 I had never seen anyone hit the scoreboard at Petco (or even come close) but Trumbo almost did it on many occasions. In fact, 10 of Trumbo’s home runs went over 440 feet. Trumbo Advances to next round. And then the legendary second match-up of Round One. It was all Giancarlo Stanton of the Miami Marlins. The superstar, who was not an All-Star this year completely dominated this round over Robinson Cano of the Seattle Mariners. Stanton hit an incredible 24 home runs in an absolutely astonishing display of power. He hit the longest home run of the competition in this round at an incredible 497 feet. The 2012 and 2013 Derby Winner Robinson Cano could only muster a mere 7 home runs. Talk about a hard act to follow. Stanton Advances to next round. 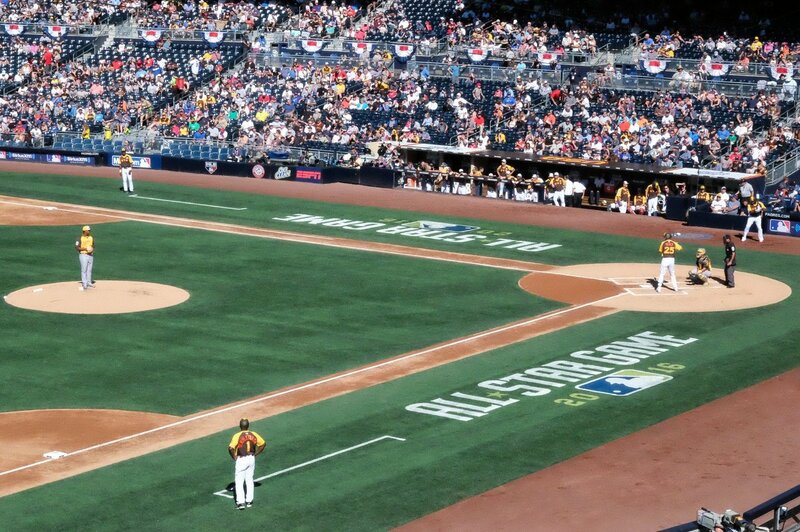 Next up was the hometown All-Star Wil Myers of the San Diego Padres vs Adam Duvall of the Cincinnati Reds. We were all still exhaling from Stanton’s display. But this was a pretty close match up with Adam Duvall winning 11-10 to advance to the semi-finals. Duvall Advances to next round. Last, but not least, was another close contest between Carlos Gonzalez of the Colorado Rockies and Todd Frazier of the Chicago White Sox. Frazier beat my dark-horse pick to win as he edged out Gonzalez 13-12. Frazier Advances to next round. 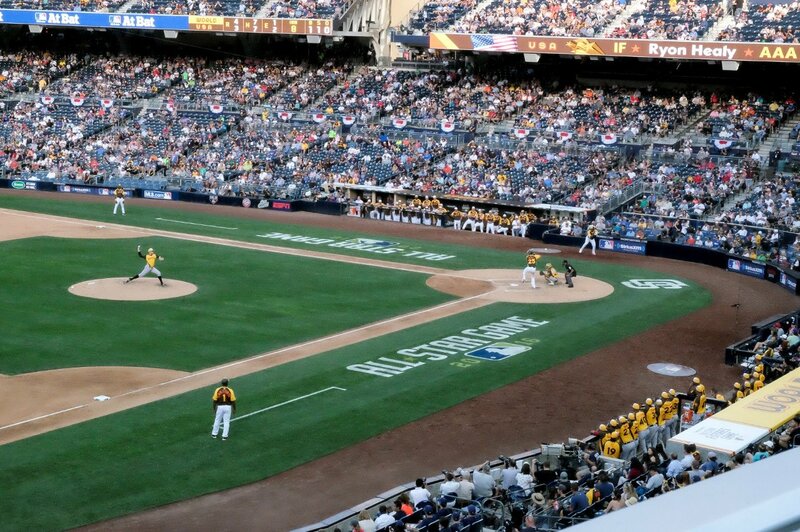 If you ever get a chance to witness the Home Run Derby live, do it! The rule changes made last year of 5-minute rounds, player time-outs and added time for home runs over 475 feet definitely enhanced this competition for the better. Oh, and no listening to Chris Berman saying “back, back, back” was maybe the best part of being there live. 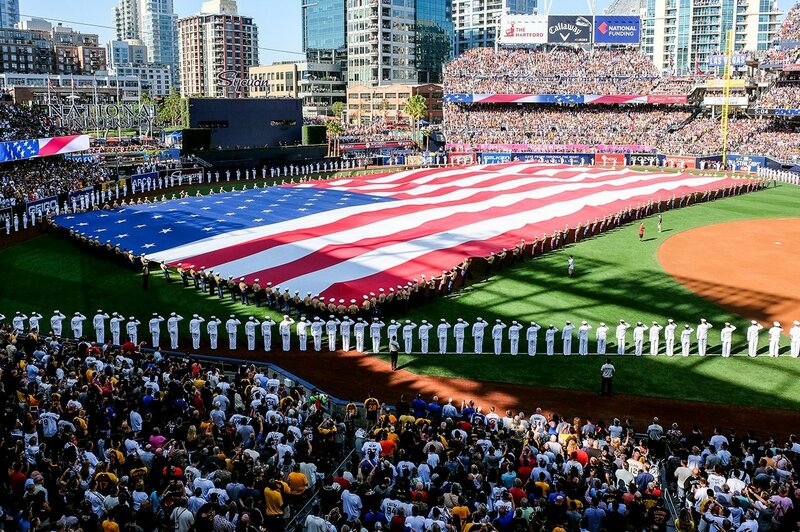 Navy and Marines display the American flag during the signing of the National Anthem.